For the second time this year, I’ve finished reading all of the Hugo winners. (This time I even went back and updated my previous posts about them!) 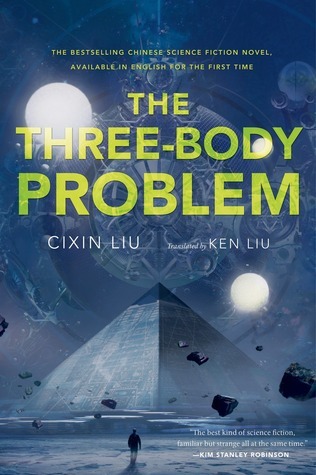 Even though this was a late addition to the ballot, The Three-Body Problem won the award and it’s well deserved. The book is hard sci-fi, and I haven’t read one of those in a while. It’s set in the present/near future, with a lot of the story taking place in China during the 1960s and 70s. I’m not too familiar with Chinese history, especially during the aftermath of the Communist Revolution. I have to assume that Liu’s description of the events is fairly accurate, which is sobering given it’s place in the story. The backdrop of the events plays a large role in the book. At first it seems like it’s just a part of character development, and the political climate is used to give the reader a sense of why the characters live the way they do. As the story progresses, however, the history becomes much more important. The book undergoes several big changes. At first, it reads a bit like a mystery. Some academics have died and an investigation is launched into why that happened. Later, it goes into hard science-fiction. The titular problem takes center stage while the deaths fall to the side. Near the conclusion, the book makes another shift and all the threads start to weave back together. It’s incredibly well done. I’m glad that I read through the book pretty quickly, otherwise I think I would have lost track of many of the small events that became important near the end. There were some problems. I don’t understand Chinese, so differentiating between the names of the characters was a little rough at times. Nothing too bad, but it did take me a second or two to remember who was who. I was also disappointed that there wasn’t a firmer resolution to the story. I know that there are a couple of other books in the series, so hopefully those answer some of my questions. Overall, I liked it. It was very entertaining and detailed. It might not be one that I pick up again, but it made me think and gave me some good insight into an unfamiliar culture.